WASHINGTON — Satellite fleet operator SES on Feb. 12 announced that CEO Karim Michel Sabbagh will be leaving the company April 5, exactly four years after assuming the position. Steve Collar, who ran the medium-Earth orbit satellite operator O3b Networks from 2012 to 2017 and now leads all of SES’s connectivity business, will replace Sabbagh. Additionally, SES’s Chief Financial Officer Padraig McCarthy, is retiring, with another former O3b executive, CFO Andrew Brown, taking his place. McCarthy, who has been at SES since 1995, agreed to “remain at the disposal of the company” post-retirement. SES has yet to select a replacement for Steve Collar to lead the company’s SES Networks division, which now also includes the O3b broadband satellites as part of its portfolio. 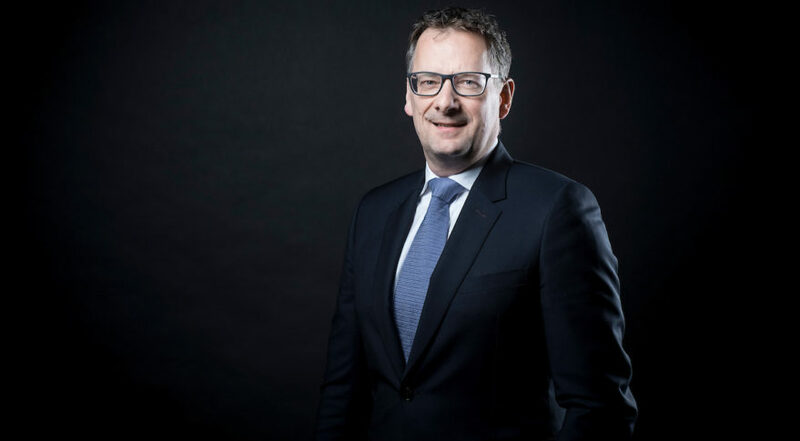 Romain Bausch, the 19-year CEO of SES until 2014 and current chairman of the company, praised Collar and Browne’s success with O3b, which has 12 satellites in orbit, four more launching next month, another four launching in 2019. After SES took full ownership of O3b in 2016, the operator placed a seven-satellite order with Boeing for O3b mPower, a constellation designed to beam 10 terabits of high-speed internet connectivity. Sabbagh joined SES from global consulting firm Booz & Co. in Dubai, United Arab Emirates. Under his leadership, SES took full ownership of O3b Networks, transforming SES into a geostationary- and medium-Earth orbit operator. He also led SES in the 2016 purchase of Israeli media and broadcast company RR Media for $242 million. SES then merged RR Media with its SES Platforms Services subsidiary to become MX1, meant to expand both traditional television broadcast as well as nonlinear, IP-based video distribution. Following those two acquisitions, SES reshaped its operating model into two divisions: SES Networks focusing on connectivity, and SES Video focusing on television broadcast.